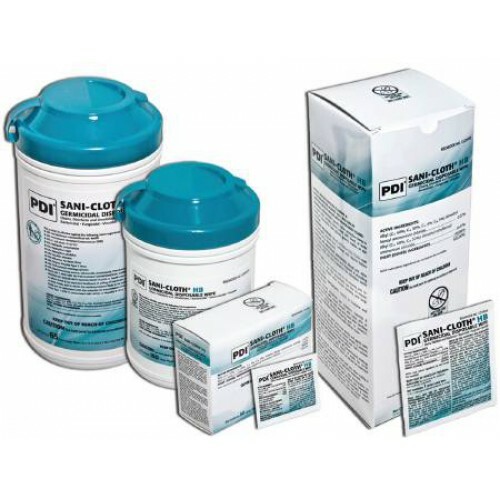 For disinfecting hard surfaces and to keep microbial contamination at bay, Professional Disposables' (PDI) Sani-Cloth® HB Germicidal Disposable Wipes are excellent for wiping down medical equipment, tables and other non-porous hard surfaces to quickly control germ spread. 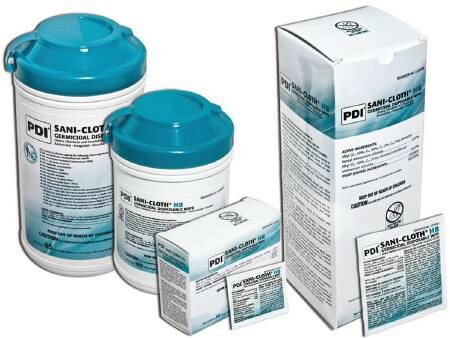 Unlike some other hard-surface Disinfectants, Sani-Cloth® HB Germicidal Disposable Wipes has a wide spectrum anti-microbial formula that helps eliminate bacteria, fungus, and virus microbial groups. These wipes are a great alternative for surfaces that react to alcohol and could otherwise be damaged by alcohol-based disinfectants. Each wipe is easily pulled out from a canister. Nice pop up canister. Germicidal wipes are clean smelling and clean bathroom surfaces well. I ordered lg but these are too small.